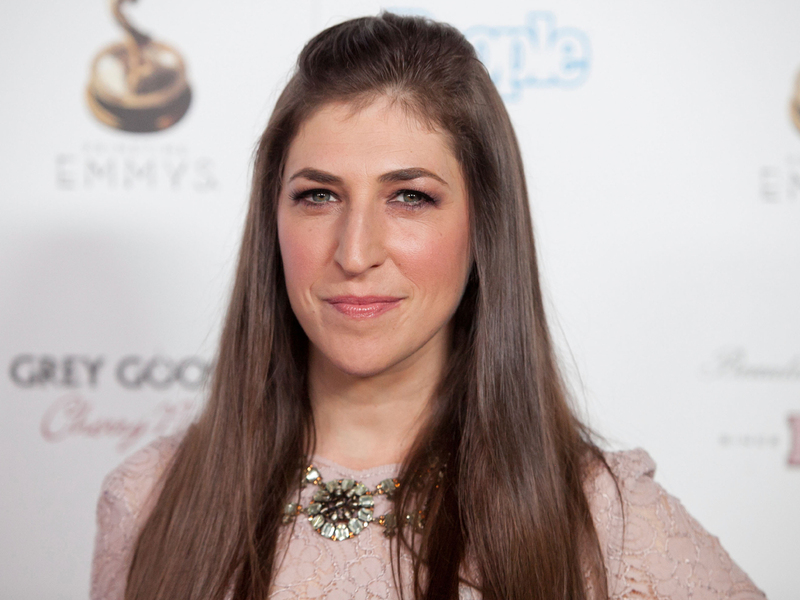 Mayim Bialik and Michael Stone, her husband of nine years, are calling it quits. The 36-year-old "Big Bang Theory" star revealed the news in a statement posted Wednesday on her website. "After much consideration and soul-searching, Michael and I have arrived at the decision to divorce due to 'Irreconcilable Differences,'' the mother-of-two wrote. "Divorce is terribly sad, painful and incomprehensible for children. It is not something we have decided lightly." Earlier this year, Bialik published a book about attachment parenting, called "Beyond the Sling," but says it had nothing to do with their move. The couple have two boys together. Watch: Mayim Bialik: From "Blossom" to "Big Bang Theory"
Mayim Bialik talks "The Big Bang Theory," "Blossom"
"The hands-on style of parenting we practice played no role in the changes that led to this decision; relationships are complicated no matter what style of parenting you choose," the former "Blossom" star explained. "The main priority for us now is to make the transition to two loving homes as smooth and painless as possible. Our sons deserve parents committed to their growth and health and that's what we are focusing on," the Emmy-nominated actress continued. "Our privacy has always been important and is even more so now, and we thank you in advance for respecting it as we negotiate this new terrain." She ended the statement with: "We will be ok."
Earlier this year, Bialik, who has a doctoral degree in neuroscience from UCLA, told CBSNews.com about how she and her husband met. "My husband and I met in calculus class in L.A. True story...," she said laughing. "He and I -- we got married when we were both in graduate school. We had our first son in graduate school and honestly sort of fell in love with parenting and being with our child as much as possible. We both finished our degrees."